French green clay is a wonder for our skin… This clay is rich in minerals, and highly absorbant. The combination of these benefits makes this soap perfect for any type of skin. The clay has an absorbing and detoxifying quality on the skin. Why is cleaning and detoxifying the skin so valuable? Our skin is the largest organ of our body, has a number of functions to our body. It is a protective layer to cover our many organs and systems. Our skin has always been said to be the indicator of our overall health – the color of our skin, the texture, subtleness or dryness, presence of problems or absence of problems. They all tell a story and we want our skin to be radiant, ageless, healthy. So why french clay? 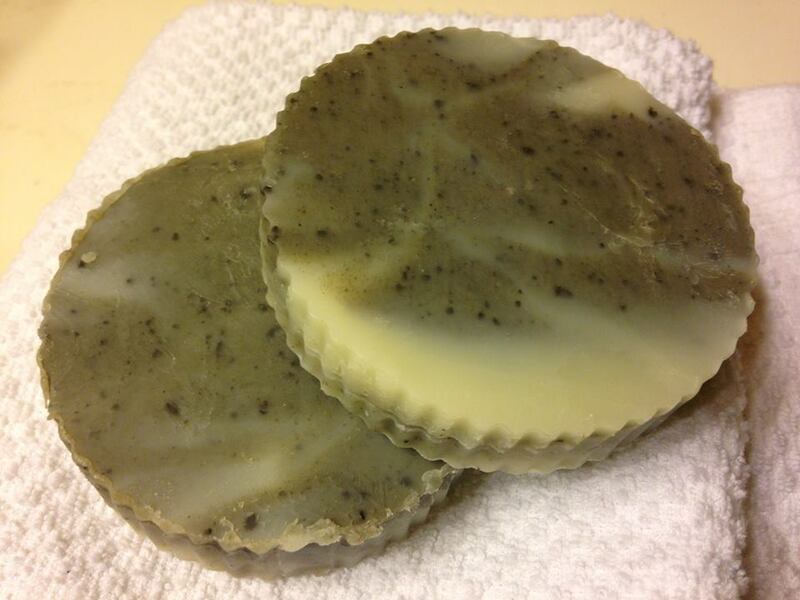 Using french green clay soap effectively detoxifies the skin. It cleanses the skin thoroughly and deeply. This helps the oxygen absorption process, improves the ability of the body to absorbe, store and synthesize vitamins, minerals and water. When using clay in the making of soap and cosmetics, it is always added as a cleaning agent that effectively cleanses and invigorates the skin. French Green clay originates from quarries in France. When used in soap making, it is added as a natural colorant. French Green clay has very strong capability of absorbing oil from skin. Its molecular structure allows it to absorb oil, dirt and toxins from the pores. It balances oily skin to normal pH levels. Research suggests this can be used daily on local acne spots and in facial masks. French Green Clay is a 100% natural bio-organic material and contains a a large selection of valuable ingredients that include several mineral oxides, magnesium, calcium, potassium, dolomite, silica, manganese, phosporous, silicon, copper, and selenium. All of these elements benefit the skin. Our French Green Clay Facial Bars are made of a rich blended cold processed soap which utilizes Aloe Butter, and a blend of Coconut Oil, Palm Oil, Olive Oil, Castor Oil and Sunflower Oil. The french green clay is added to the oil/sodium hydroxide mixture, then the essential oils are added. For this soap we utilize cedarwood and orange essential oils. The smell is a warm blend of a woodsy pine like smell coupled with the fresh zesty aroma of orange.